We are excited to welcome you to our Optometry Offices located in San Jose, Ca. 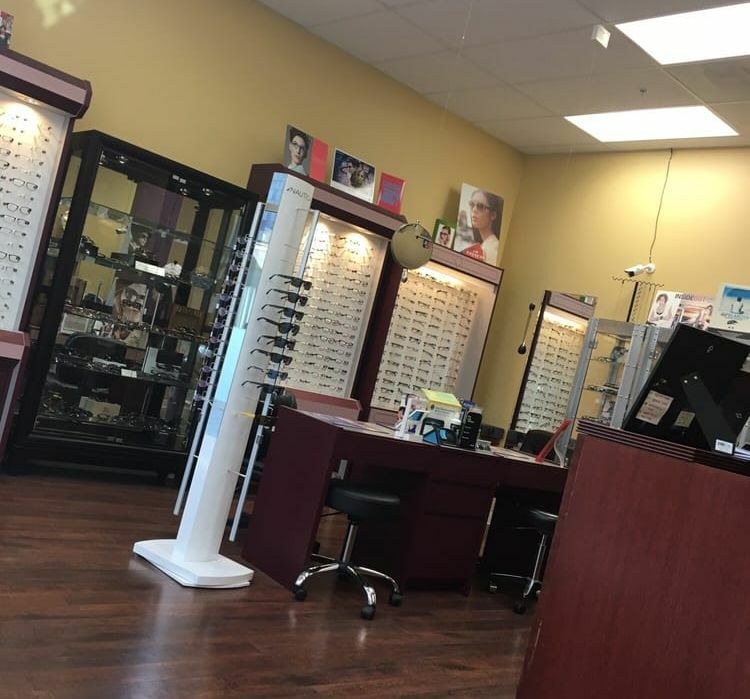 Our Optometrists, Dr William L Choi OD, Dr Weyland B Dear OD, and the entire optometric staff at In Focus Optometry Inc. are dedicated to your complete eye care needs. In addition to performing full eye exams for glasses, our comprehensive list of optometric services include custom contact lens fittings, co-management of Lasik and other refractive surgeries, and diagnosis and treatment of ocular conditions. We also carry a wide selection of designer eye glasses. Please call our office today to set up an appointment. "I chose this place because they are about a block away from my home and because they accept VSP insurance. I got an appointment for the next morning. "Good selection of glasses to choose from. Dr. Choi made me feel very comfortable and his recommended changes to my contact lenses were definitely for the better." "I went in for a check up and I'm very happy! The staff are very nice and professional, and the doctor made me very comfortable and knew just what I needed. The staff are very nice and professional, and the doctor made me very comfortable and knew just what I needed. They offer parking validation if you park in the 2nd street public parking. So far, they are very good." "They're around the block from work. Very convenient on light rail. I've had glasses for about 8 years, and this time I went in for contacts. Best service I've ever had, period." "Just to balance the scale here: I've been going to In Focus for at least 15 years. The service, thoroughness of the exams, and the glasses themselves have always been excellent." Congratulations! VSP recently received a letter of appreciation from one of your patients. We would like to extend our gratitude to you and your staff for providing high quality patient care and exceptional service. In today's busy world it is a great tribute when someone takes the time to send a written acknowledgement complimenting the provider's work and showing their appreciation. Your patient, Nancy S., stated: "I just wanted to let VSP know how great your office was. I have been to other offices and was not treated well. One office said they did not have a contract with the frame company and could not order a frame my daughter wanted. Dr. Drenth told her he could get that frame. Dr. Choi also came out from the back to talk to me and my daughter. Dr. Choi made me and my daughter feel really good about being there. I just wanted VSP to know what a good job this office was doing." It is this type of exemplary service and patient care that has allowed VSP and its member doctors to achieve such a successful partnership. You are to be commended for your extraordinary service.